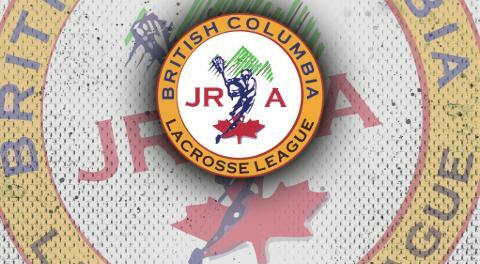 The New Westminster Salmonbellies have re-acquired standout defenders Mack Burns and reigning BCJALL Defender of the Year Patrick Shoemay from the Burnaby Lakers in exchange for the Junior A playing rights to Dylan McCormick, the Jr. A & B rights to Kinsale Philip and New West's 4th round pick in Saturday's draft. The 'Bellies added the duo during last season's Minto Cup run - but their rights were returned after the season. The 6'4" Shoemay had a breakout season with the Lakers before being dealt; he's also a standout player with NCAA Field Lacrosse team Rochester Institute of Technology. Burns is a little more on the rugged side, leading the league in regular season penalty minutes with 63. However, he plays the type of game teams strive to get from their defensive stalwarts. Dylan McCormick is the former No. 1 overall pick to the 'Bellies in the 2017 Entry Draft and spent some time with the 'Bellies last year. Getting him for a couple of veteran defenders who may not factor into the Lakers' future plans. Kinsale Philip is a New Westminster who played eight games with the Jr. B1 club. He doubles as a Quarterback for the New Westminster Secondary Hyacks and looks primed to continue his career in University with three offers and counting. He will undoubtedly add some athleticism and explosion to Burnaby's back-end. The Lakers now hold six picks in the first four rounds of Saturday's draft.